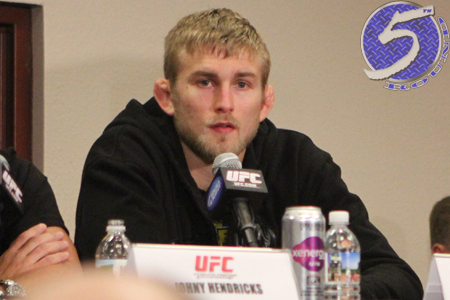 There aren’t many fighters chomping at the bit to fight reigning UFC light heavyweight king Jon Jones, but mark Alexander Gustafsson (Pictured) down as one of the few. If he passes the toughest test of his young and budding career by beating Mauricio “Shogun” Rua at “UFC on FOX 5,” Gustafsson proclaims an immediate shot at the throne should be in order. “I want to fight the champ after this fight,” the 25-year-old added. “That’s what I want to do. My focus is on ‘Shogun’ 100 percent, but when I win the fight, I want to fight for the belt. “The Mauler” owns a practically perfect 14-1 résumé, with his lone blemish coming against then-undefeated Phil Davis in April 2010. He was last seen posting a unanimous decision win over Thiago Silva in April. Gustafsson and Shogun collide December 8th inside Key Arena in Seattle, Washington.